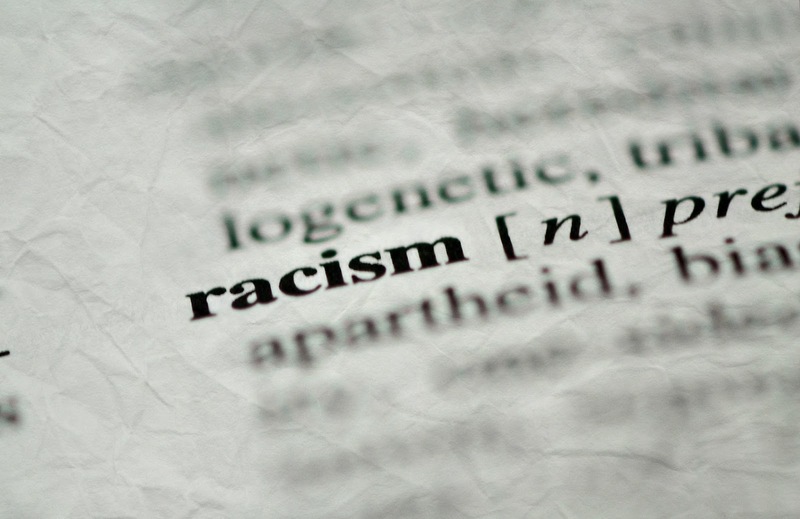 PQ Blog: No such thing as anti-Muslim racism? No such thing as anti-Muslim racism? Historically, Muslims have often been told that there is no such thing as anti-Muslim racism, because Muslims are a religious group and not a race. Hence Muslims could legitimately ask for toleration and religious pluralism, but not for inclusion in anti-racist egalitarian analyses and initiatives. The background to this mistaken view, of course, is the fact that Anglophone scholars of racism originally understood it in terms of biology, and specifically in terms of the black-white binary. At the same time, other scholars, especially in continental Europe, understood racism in terms of antisemitism, which again in modern times has had a biological underpinning. However, it has become clear that these two paradigms failed to capture some contemporary experiences, such as anti-Asian cultural racism in Britain or anti-Arab cultural racism in France. Muslims, triggered by controversies such as The Satanic Verses affair and other incidents, responded to such hostilities and articulated their misrecognition. While a number of Anglophone authors, including myself, started using the concept of Islamophobia in the late 1980s and early 1990s, it was the Runnymede Trust, with its report, ‘Islamophobia: a challenge to us all’ in 1997, which launched the career of the term as a concept of public discourse in Britain and much beyond it. It presented Islamophobia as “a useful shorthand way of referring to dread or fear of Islam – and therefore to fear or dislike of all or most Muslims”. Although the report was ground-breaking and played a crucial role in getting people to think about anti-Muslim prejudice, I felt it did not sufficiently locate Islamophobia as a racism, like say, antisemitism. I continued to write about Islamophobia as a form of cultural racism, which may be built on racism based on physical appearance (eg., colour-racism) but is a form of racism in its own right – again, like antisemitism. This also became the approach of UNESCO and I am pleased to see that it has been explicitly embraced by the new Runnymede Trust report, ‘Islamophobia: still a challenge for us all’, published in November, 2017. 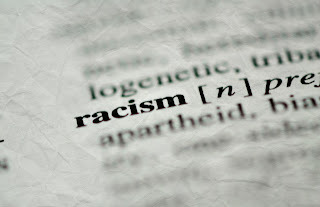 In spite of these developments, the view that anti-Muslim racism does not exist continues to be expressed even today, with some denying that there is a racism that could be labelled ‘Islamophobia’. However, thankfully it no longer has the hegemony it once did. Understanding some contemporary treatment of Muslims and aspects of their societal status in terms of ‘racialisation’ clearly is an advance. That being said, we should beware that the conceptualisation of Muslims in the West is not reduced to racialisation or any other ‘Othering’ theoretical frame such as Orientalism. By definition, ‘Othering’ sees a minority in terms of how a dominant group negatively and stereotypically imagines that minority as something ‘other’, as inferior or threatening, and to be excluded. Indeed, the dominant group typically projects its own fears and anxieties on to the minority. The danger of reducing Muslims to racialised identities is particularly high at the moment because the Islamophobic ‘othering’ of Muslims is acute, and if anything, rising. This can be seen in how aggressive negative portrayals of Muslims is standard in so much rightwing nationalism, whether in President Trump’s Muslim bans, Marine Le Pen’s Front National, Alternative fur Deutschland in Germany or in various parties in central and eastern Europe, including the Freedom Party in Austria, which has now entered government. Discourses about Muslims are central to the internal debates in UKIP about whether to become a working-class party of welfarism or one defending ‘our way of life’ against the alleged threats of Islamisation. Western media routinely present Muslims as unBritish, unFrench, unGerman and so on and with a degree of hostility that no other group suffers (except perhaps the Roma in parts of central Europe). It is therefore right that scholarly and public attention should be focussed on this racialisation of Muslim that is creating a deep, long term division in our societies which may be very difficult to reverse. Yet, like all ethnic or religious groups Muslims are not merely created by their oppressors but have their own sense of identity too. They seek to not be defined by others but to supplant negative and exclusionary stereotypes with positive and prideful identities. Oppressive misrecognitions, thus, sociologically imply and politically demand recognition. Our analyses therefore should be framed in terms of a struggle for recognition. Multicultural inclusivity means recognising and respecting these identities. Recognition of Muslims’ own identities of course does not mean thinking of Muslims as a group with uniform attributes or a single mindset, all having the same view on religion, personal morality, politics, the international world order and so on. In this respect, Muslims are just like any other group – they cannot be understood in terms of a single essence. Groups do not have discrete, nor indeed, fixed boundaries as these boundaries may vary across time and place, across social contexts and will be the subject of social construction and social change – and Muslims are no different in this respect. This ‘anti-essentialism’ is rightly deployed in the study of Islamophobia and Muslims. It is a powerful way of handling ascriptive discourses, of showing that various popular or dominant ideas about Muslims, just as in the case of, say, women, LGBT people and so on, are not true as such but are aspects of socially constructed images that have been made to stick on to those groups of people because the ascribers are more powerful than the ascribed. Anti-essentialism is an intellectually compelling idea, and a persuasive resource in the cause of equality, but it does not imply that Muslim identities are merely constructed by Orientalists and racists. Most people will agree that Islamophobia must be distinguished from reasonable criticism of Muslims and aspects of Islam, but this is a difficult distinction to make. It also begs the question: what are reasonable criticisms that Muslims and non-Muslims may make in relation to some Muslim views about, say, gender or education or secularism? The study of Islamophobia must not squeeze out the possibility of such discussion, but must endeavour to show us where it becomes Islamophobic. It must point out common examples of caricaturing, or assumptions that all Muslims think in a particular way, in order to create a climate where reasonable dialogue is possible. Yet merely identifying the unreasonable and the populist is not enough. Our analysis should lead us to what is reasonable: to what criticisms may be made of Muslims and/or Islam, and what criticisms that Muslims make of contemporary Western societies that are also worthy of hearing. Non-Muslims must be able to publicly state that some Muslim views or practices (eg., in relation to divorce) are oppressive of women – after all plenty of Muslim women say so – but they must do so in a civil and respectful manner and without offensive language or imagery. Yet we should beware of those who latch on to such views simply to express and promote Islamophobia, in the way that a lot of right-wingers who have spent decades arguing against feminists and against gay rights have today become champions of women’s and LGBT rights. Every minority must be able to negotiate, modify, accept criticism and change in its own way; a dialogue must be distinguished from a one-sided imposition. That is the challenge for us all. Tariq Modood is Professor of Sociology, Politics and Public Policy at the University of Bristol.